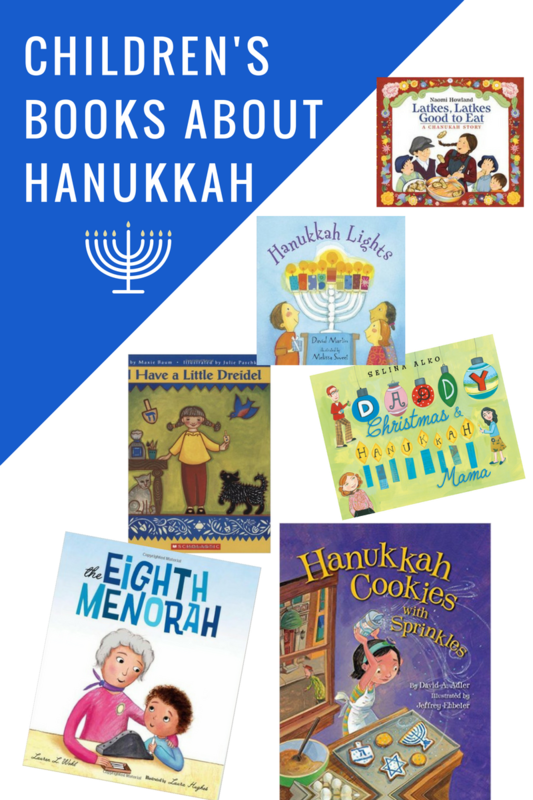 Hanukkah is coming, and it is time to grab some great Hanukkah picture books to read and learn about your, or perhaps your neighbor’s, traditions. 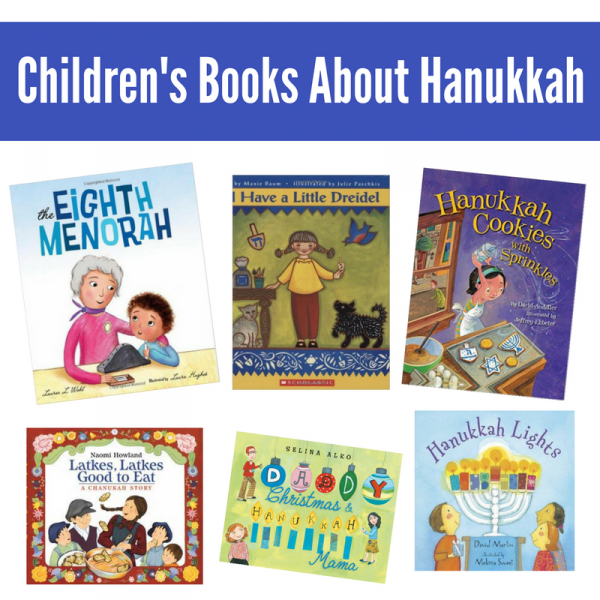 These books are not just for children whose families celebrate Hanukkah. If you are new to reading books about traditions or faiths outside your own, don’t be shy. Grab the book and just read! If your child has questions that you can’t answer, find out the answer together by researching it. If your favorite book about Hanukkah is not listed here, please take a second and leave a comment. Let’s keep this list growing! 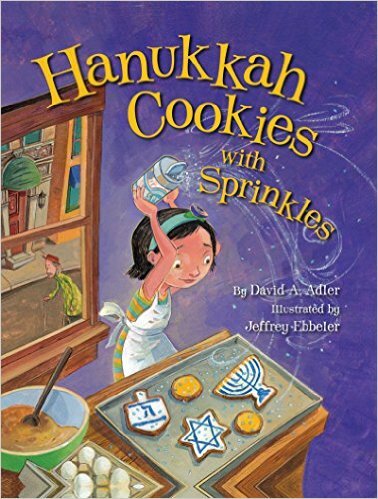 Hanukkah Cookies with Sprinkles by David A. Alder is a phenomenal book that children of all backgrounds should read. The story is about Sara, a little girl who notices a man eating the rotten fruit left out by a grocer, and Morris, an old man. The old man becomes a friend after Sara shows him great kindness and learns all about tzedakah, which is giving to those who have less than you. Sara starts leaving Morris cookies that she saves from her school snack. Then, as Hanukkah is coming, she leaves him a menorah, latkes ,and more. The real kindness comes when he joins her family for Hanukkah in their home. This is a wonderful story of charity and friendship. 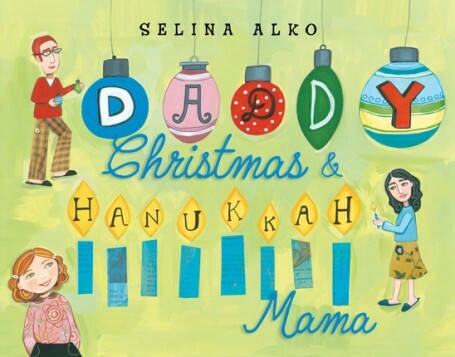 Daddy Christmas and Hanukkah Mama by Selina Alko is a good book for families that celebrate both Hanukkah and Christmas, or really any two religious traditions, to see how one family found a way to honor both faith traditions. This is a good story, but I was hoping to get more info about Hanukkah than was provided. If you are looking to learn more about Hanukkah the next book is better, but as a story of a modern family, this is a great pick. 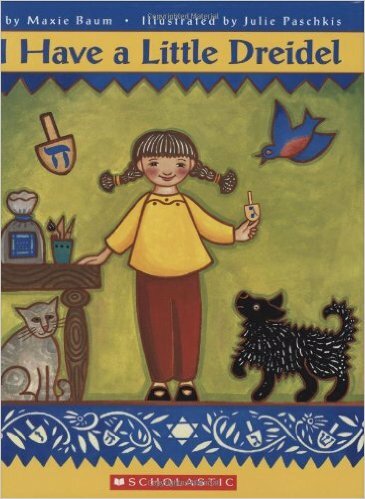 I Have A Little Dreidel by Maxie Baum is a fun book that touches on some of the most common aspects of Hanukkah with text adapted from the popular dreidel song. The text is so much fun to read especially if you are familiar with the song. If you aren’t, I would look it up on youtube and learn it before you read this to a group. Trust me, it will be so much more fun with the right tune! 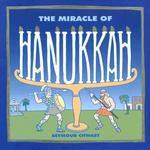 The Miracle of Hanukkah by Seymour Chwast is a great non-fiction book about Hanukkah. It explains the history behind the holiday in an easy to understand format. My favorite part is how the book has different layers of pages explaining the fight between the Maccabees and Antiochus. It”™s a fun way to keep kids interested while explaining the history. This is a great book! 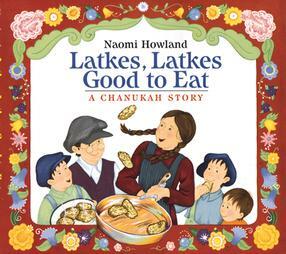 Latkes, Latkes, Good to Eat: A Chanukah Story by Naomi Howland is a Hanukkah story about kindness repaid and how things can go awry. Sadie is a kind young woman. After she offers her firewood to an older woman who is cold, the older woman repays her with a magic frying pan. This pan magically makes latkes – as many as you want – if you say the magic words. Her hungry brothers are overjoyed and their bellies are full, but as often happens, they become greedy. The frying pan will keep cooking and cooking unless you know the magic words to make it stop, and her brothers didn”™t hear those words. Mayhem ensues, but the family and village find a way to make the mountains of latkes into a celebration. Beware! You will be craving latkes after reading this! Luckily, there is a recipe. A Confused Hanukkah: An Original Story of Chelm by Jon Koons is a delightful story about the village of Chelm, known by some as the village of fools. The people of Chelm aren”™t the brightest so when their Rabbi is away, they have no one to guide them about Hanukkah. They send a villager out to find out how to celebrate, only he misses the nearby village and ends up in the big city where there are Christmas trees. When he returns, the village prepares for Hanukkah with a dreidel covered Christmas tree. They select the biggest, fattest villager to dress as their version of Santa. Luckily, the Rabbi returns and gets the village back on course, explaining the proper Hanukkah traditions and the reasons behind them all. I love this book. 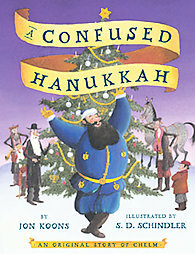 I think it”™s a great, comical look at Hanukkah while really teaching much about it as well. 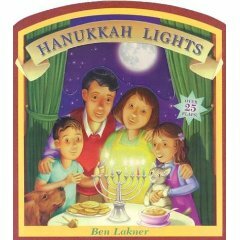 Hanukkah Lights by Ben Lakner is a book that is fun for a variety of ages and explains so much. For someone like me who has grown up with friends who celebrate Hanukkah but doesn”™t herself, I know a little bit about the holiday but am fuzzy on the details. This book clears up those fuzzies! There is so much in this board book. Little kids will love lifting the flaps to reveal fun details. The text is too long for the average toddler, so if you are reading it only to a tiny one, I”™d focus on the pictures and flaps. They are wonderful. If you are reading this with an older preschooler, it”™s perfect, and they still love the flaps too! 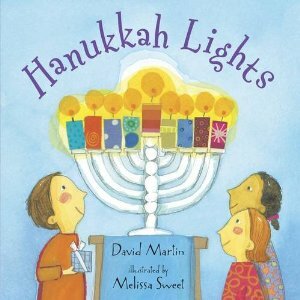 Hanukkah Lights by David Martin is a new book to us and perfect for my toddler. 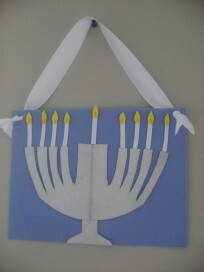 Even though we do not celebrate Hanukkah, I want my kids to be familiar with various religions and celebrations. This is a perfect first Hanukkah book. 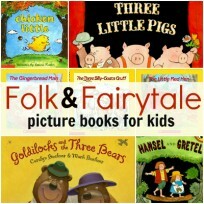 My daughter loved it and it was fun to read with my son and have him read unfamiliar words. I am excited to share this great Hanukkah book for toddlers. 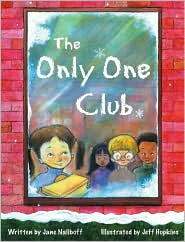 The Only One Club by Jane Naliboff is a cute book about a little girl named Jennifer who is the only one in her class who celebrates Hanukkah. Soon, she finds out that there are lots of “Only Ones” in her class, such as the only one with red hair, the only one who wears dresses every day, and the only one with a unique last name. I like the message this book delivers. We should celebrate our diversity and tell our kids that it”™s not a bad thing to be unique. 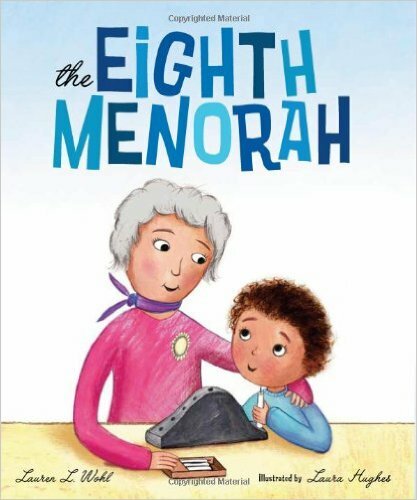 The Eighth Menorah by Lauren L. Wohl is a sweet story about Sammy and the menorah he makes in Sunday School. The problem is that Sammy’s parents already have seven menorahs and he just doesn’t feel like they need another. Lucky for Sammy’s Grandma, she does! The story is about Hanukkah, the special relationship grandparents have with their grandchildren, and how special kid-made art really is. 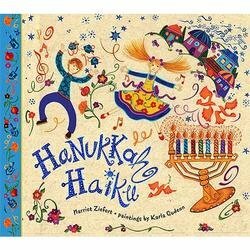 Hanukkah Haiku by Harriet Ziefert is a bright and cheery look at the traditions surrounding the holiday within the parameters of a haiku on every page. Karla Gudeon’s illustrations are so detailed! Spending ages just looking at all of it is easy. Each page is a haiku that goes along with a night of Hanukkah. It also explains briefly some of the other traditions like playing dreidel, eating latkes, and chocolate gold coins!